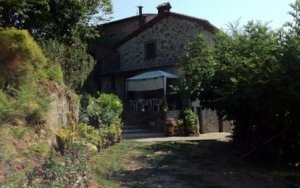 Property located in the village of Albiano near to Barga, LU. Set in a pleasing panoramic and sunny position, very interesting autonomous house, free on three sides, with gardens. The property consists of a ground floor and a first floor and a large plot of land with olive trees. The surface of approx. 3,000mq. plus another detached plot of land with a vignard very near to the property. Ground floor – accessed directly from the garden, consists of a recreation room, bathroom, two cellars used as starage and closet. Sleeping area – from the living room there are a few staps that lead to 2 bedrooms and a bathroom. The property not only is in a splendid postion it is within walking distance from a public swimming pool. 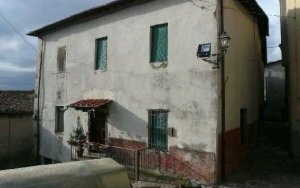 Two very pleasing fully renovated flats with lift, garden and balcony, in Barga LU. Pleasing house, of 235mq. near the Corsonna river with terraces and gardens that complement the well.